Nowadays, tokenized securities are the hottest crypto topic. Of all possible tokenizations - debts, real assets or equities - that of equities catches the most interest. This despite the fact that it is really debt tokenization that presents the "low hanging fruit", because it is fairly straightforward to implement and it has very little regulatory constraints. In fact, the first EU debt tokenization was recently completed in Germany. Instead, the tokenization of equities is much more complex due to the amount of regulatory constraints. Understandably, the tokenization of equities is highly appealing to VC firms, investment bankers, business angels, and SMEs; all salivating at the opportunities that this may bring. Nonetheless, although increased liquidity, tradability, and low issuance and transfer costs are frequently touted as the biggest advantages of the tokenization of equities, few are fully aware of the legal constraints that still limit these potential advantages. At a recent thinkBlocktank event - organized in Warsaw by Wardynski & Partners - the most prominent among European blockchain specialist lawyers met to discuss recent regulatory developments; such as, the progress made by Switzerland and Liechtenstein towards implementation of a frictionless regulatory environment regarding tokenization. The main obstacles surrounding tokenization of equities remain: (i) the format of the shares, (ii) the means and the proof of the transfer, (iii) the link between the shares and the token, and (iv) the objective and subjective requirements for DLT based security token registries. Whenever a jurisdiction prescribes - for instance - the paper format for the shares, the need to enter them into a register held by a public authority, a written form requirement for the transfer, or a notarial authentication to prove it, then such regulatory constraints clearly nullify the purpose and the benefit of a tokenization. At the meeting, Stephan Meyer, a colleague from the Zurich and Zug based MME law firm - which already played an instrumental role in setting up the Ethereum foundation - has explained the legal and regulatory basis for creating equity tokens in Switzerland. This has been done by a joint venture tokenization platform recently created in partnership with Swisscom. Under Art. 973c of the Swiss Code of Obligations, uncertificated shares can be issued and the issuer shall keep a book recording the ownership of the shares. Since no other requirements are prescribed under Swiss law, tokens representing equities can be registered and transferred using a blockchain/DLT infrastructure. To illustrate, the Daura platform was set up to run on the private/permissioned Hyperledger Fabric blockchain, where uncertificated shares are registered and corresponding equity tokens are issued and managed via smart contracts. The transfer of the equity tokens is structured as tripartite agreements to avoid the written form, otherwise legally required also in Switzerland. From 2020 the introduction of a new "DLT-right" is expected in Switzerland. 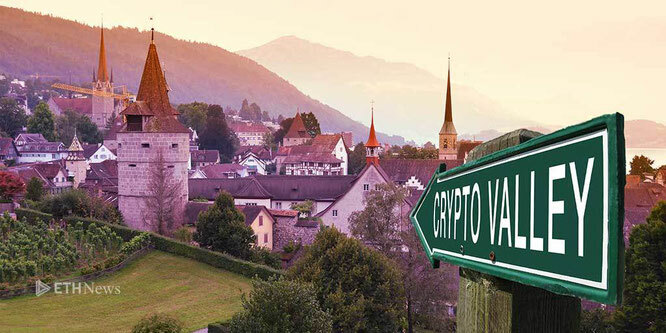 The Swiss Federal Council proposed in March 2019 several legislation amendments to further facilitate blockchain projects and security tokens in specific. The legislation optimization is now in the formal consultation process. Furthermore, there are additional advantages which make Switzerland an incredibly friendly jurisdiction for issuing equity tokens. No licences and no prospectuses are required for direct primary market issuances, the only requirement being a very simple "civil law prospectus" which implies civil law liability in case of unfaithful declarations by the issuer. Although, a simplified "regulatory" prospectus will be required from 2020. Moreover, there are no compulsory AML duties for the direct primary market issuer of security tokens to comply with. Finally, while centralized exchanges do need a secondary market licence - such as the currently proposed DLT Trading Facility license - per to peer transactions remain unregulated; and, as a consequence, also fully decentralized exchanges. One can contrast the flexible, straightforward, and "light" approach of the Swiss legislators with the corresponding intentions of the German legislators. Regarding the very same issue of the registers in which securities tokens can be held, the German legislator - in a proposal issued by the Ministry of Finance the 7th March 2019 - intends to limit the ownership of blockchain based security token registries to either governmental authorities or authorized intermediaries under MiFID. This defies the very purpose and the properties of a blockchain. If anything, the debate should focus on the type of blockchain which can be used for such registries, rather than bring the blockchain based security register under the direct supervision of an authorized intermediary - which is by no means more trustworthy than a properly set up blockchain. Blockchains are intrinsically suited for issuing and transferring tokens, because they are tamper-proof and allow for tracking of the legal title. Consequently, the issuing, clearing, and the settlement of securities´ transactions on blockchains should be one of the main applications and uses for DLTs. Although currently the German legislator seems to completely miss the point, hopefully they will reconsider the issue in the future. Liechtenstein, on the other hand, is more aligned with Switzerland. Colleague Thomas Nägele of Vaduz based Nägele Attorneys at Law, has highlighted some important parts of the newly proposed Trusted Technologies Law. This draft law is a comprehensive piece of legislation dealing with DLTs, tokens, and their legal treatment. As far as security tokens are concerned, it also deals with issues which the Swiss law does not explicitly address, such as a bona-fide purchase of rights and the liberation/discharge of the debtor from its obligations. - the debtor making payments to a creditor entered into the DLT based register is liberated from their obligations. This Liechtenstein draft legislation is also - at least so far - one of the most advanced in Europe and it raises important issues and legal challenges that we will continue to debate in the future. Lastly it happened: a German company has won the race to issue a fully regulated security token, at least in Europe. Despite others having claimed to have "tokenized" something in the past, this Bitbond issue is a radical shift in the STO narrative so far. Indeed Bitbond - a Berlin based crowdfunding company - has released a prospectus approved by German regulator BaFin to raise funds by issuing a security token bond on the Stellar blockchain, without a depositary bank, without certificates or coupons and intermediaries. Differently from what happens with traditional bonds, no commission/premium/agio will be charged to subscribers. Also the size of this STO is considerable, with an ambitious hard-cap of €100M. This is a big step forward, this is finally the game changer that I have been waiting for in the last 12 months. If anything, my bet would have been on a smaller and more flexible jurisdiction to be able to finalize this first (such as Switzerland for instance). The German move is therefore important for the industry. It sends a clear signal that Germany is now leading the STO race and is ready to take your business. At least among conservative German medium sized company owners - who in my experience are very much keen in "keeping base safe at home" - this basically means "hey guys, why take your business elsewhere? Take no risks and look no further, you can now conveniently raise funds through STOs at home". And with the uncertainties of Brexit - which may penalize London´s financial hub in the short term - the Germans might even be able to attract potential STOs from other EU countries. In the end the financial infrastructure in Frankfurt is top notch, Berlin is a top tech and crypto hub with plenty of very experienced crypto consultants and legal advisors and the market for potential STO candidates among German SMEs is simply the biggest in Europe. So it´s all there for the German STO market to prosper and grow. Now, as promised here, I have thoroughly gone through Bitbond´s prospectus and I also exchanged e-mails with the company´s General Counsel - Henning Franken - to clarify some points. The following is my analysis of Bitbond´s STO bond issue. Bitbond´s platform brokers loans between investors and small business owners. Through its fully owned subsidiary Bitbond Finance GmbH, they aim to raise capital to directly finance small business owners through the Bitbond platform. In order to raise capital Bitbond Finance will issue a security token bond with a hard cap of €100M. The currency of issue is the Euro, although investors can also pay the principal amount in crypto. The company will issue BB1 tokens having nominal value of €1 and representing a debt instrument (Bond) paying an annual interest of 4%, payable in quarterly instalments. In addition, it will pay a variable interest amount equivalent to 60% of the profits realized by Bitbond GmbH in its business activities (if any). The BB1 tokens will be issued on the Stellar blockchain. The duration of the bond is 10 years. For obvious practical reasons, the contractual assignment of token rights or their pledge - otherwise possible with standard securities under civil contract law - are negated in this case (art. 7.2.8 limited prohibition of assignment). This is because the transfer of rights to the token must be allowed only if done through the Stellar blockchain, which enables the sale and transfer of the full ownership of the token and not ancillary rights. Therefore the investor acknowledges with the prospectus to substantially refrain from pledging or otherwise assign the rights to the tokens outside of the Stellar blockchain. This is necessary to avoid a conflict between what would be legally possible under civil contract law and what is practically feasible with the blockchain. First of all the issuance direct costs are a fraction of those with a comparable traditional bond. The biggest direct cost is for marketing and sales at around € 400.000, then € 120.000 for legal and prospectus and € 80.000 for software development. A mere 0,6% direct costs if the bond is fully subscribed, excluding all indirect costs such as commissions for tips, referrals and rewards for affiliates. Then there are no financial intermediaries to deal with, and no commission/premium/agio will be paid by the subscribers. The issuance is direct to the investor and the BB1 tokens will be allocated via Smart Contract directly to the Stellar wallet of the investor. The liquidity is still an issue to be verified since there is no real market for trading such tokenized bonds. So it remains to be seen both how much of the €100M will be subscribed and then how liquid the BB1 tokens will be and which market will be chosen by the issuer for trading them. Anyway, the potential advantages are there and liquidity will gradually improve with the growth of the sector and the involvement of traditional financial players. I have no doubt that financial operators, while being "disintermediated" on the token-bond issuance phase, will carve themselves an active and profitable role in trading those tokens and thereby will bring liquidity to the markets (market-makers will come). Besides, traditional financial instruments such as commercial papers or small corporate bonds are also highly illiquid. Here we have at least the potential to create a global blockchain based market where those securities can be traded. It will all come, with time. Another advantage is the programmability of the tokens via Smart Contracts. In this particular case a script is programmed that executes automatically all the steps relating to the payments of interests and redemptions, as well as the calculation of the exchange rate and of the amounts due and the allocations to the wallets. The script however is activated manually by the issuer, so in the end it is semi-automated. The risks are properly set out in the prospectus. I wish however to dig in more deeply and examine more attentively some of the risks. Leaving aside the clear risks which are common to any business and to any investment in financial instruments, I´d like to focus on those risks which are more opaque and intrinsic to the business of crypto lending. When Bitbond lends crypto to small businesses via its platform it enters into so called ERP Loans (Exchange Rate Pegged loans). Simply put, if the borrower borrows €1.000 this sum is transferred to him in crypto which the borrower then converts again into fiat. When it will have to pay it back it will pay back always € 1.000 at the crypto-fiat exchange rate of that moment. This clearly protects Bitbond from crypto volatility. On the other side the borrower is exposed to crypto-fiat exchange rate fluctuations for the time it takes to receive the crypto-loan and exchange it into fiat funds. According to the company´s General Counsel Henning Franken this takes usually only a few minutes. Since 2018 however the company claims to have improved its business model and now, instead of using cryptocurrencies, it uses a stable-coin - the EUR Token - to transfer funds to borrowers as explained in para 4.2 below. To do so Bitbond has partnered with platforms (such as Tempo) to covert fiat into a digital stable-coin backed up with Euros 1:1 which is called EURT (Euro Token). According to Henning Franken - Bitbond´s General Counsel - "Tempo emits so called "Euro-Tokens" on the Stellar blockchain. So they do not use Stellar-Lumens (XLM) but only make use of the underlying ledger provided by Stellar. Compared to the model described above (4.1) the exposure is even further reduced since every fiat Euro transferred to Tempo gets exchanged to one Euro-Token which keeps its value of 1 Euro at any time of the transaction. This way there is even between transfer to the borrower and exchange no exposure to fluctuation anymore. Furthermore the transactions are faster, less cost intensive and more secure. Bitbond has introduced the latter model to all German and most of its European customers and will continue to do so in 2019 and further. Bitbond Finance GmbH (the emitter of BB1) will probably invest the BB1 funds mostly in German and EEA-loans because the majority of our existing customer base is located there". By the way - on that same issue - it is worth noting that JP Morgan has recently announced that it will start issuing its own stable JP Coin pegged to the US$. It will be used initially for internal operations but the way forward here is clear. When large financial institutions get involved, then any third party risk related to the issuer of the pegged-coin (such as this third party solvency) can be at least mitigated and properly rated, even more so if the counterparty of your fiat-pegged-coin is JP Morgan or Goldman Sachs instead of any small start-up. This is certainly important to allow the investment of institutional moneys. All the interest payments, as well as the redemption of the BB1 tokens at maturity, will be made exclusively in XLM. This means that the euro sum due will be converted at the moment of payment into the corresponding quantity of XLM which will be transferred to the wallet of the investor. The investor therefore bears the same exchange rate risk described under 4.1 above until XLM are again converted into fiat. An alternative mechanism to the repayment in XLM of principal and interest is not indicated by Bitbond. Also it is not clear why EURT will not be used in this case to repay interest and principal. My point is that XLM is not exactly the US$. What if in a few years it does not exist anymore? At least a general purpose clause to establish an alternative payment mechanism in fiat currencies or a fiat-pegged-coin could have been inserted. There is another risk to consider though which is not so apparent. XLM market capitalization at the date of writing is a mere 1,6bn US$ equivalent, not exactly in the league with BTC (67bn US$). Therefore price manipulations cannot be excluded. If the XLM price is artificially inflated ahead of key payment or redemption dates, less XLM will be paid out to the investor who bears the exchange rate risk until XLM are converted into fiat. In addition, the investor cannot be guaranteed adequate XLM liquidity and its convertibility into BTC/ETH or fiat. In other words the investor carries an "exit" risk with such cryptocurrency. This is important. Another issue is the lack of a dispute resolution mechanism. Due to the still experimental nature of tokenizations and the technical risks that comes with it - think about a bug in the code or a mistaken token or payment transfer which is irreversible on the blockchain - I would have appreciated an arbitration procedure to allow investors to quickly settle those issues. Fair to say that Bitbond duly acknowledges those risks in art. 2.2.14 and thoroughly explains the way the semi-automated payments are executed, but it fails to indicate the solution in case of failure. German law regulates the BB1 issue with the non-exclusive jurisdiction of the Berlin Court. Strangely enough, what is the biggest achievement for the securities token industry so far, has gone almost unnoticed by the largest international crypto media. Some have reported the news but no real comments. Though the news have clearly made the headlines among the specialized German media, this is by no means a local achievement. It is a global success for the industry. Therefore I have asked a prominent German crypto expert, to share with me his views. Oliver Krause - my colleague at Untitled-INC - comments: "it is clearly a milestone that has been achieved here, although I see substantial potential for improvement of STOs from the investors perspective. 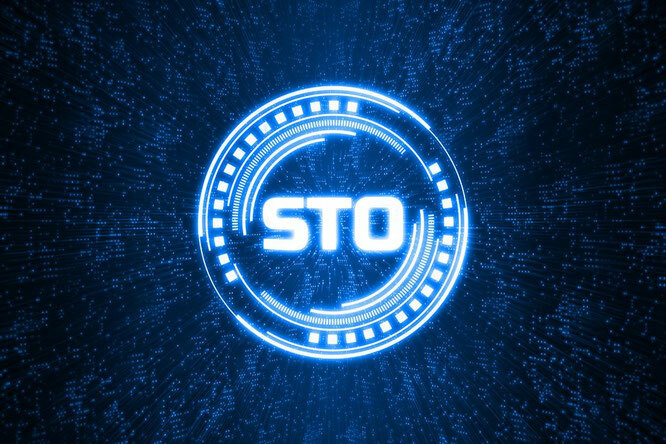 I expect more maturity coming to the space as soon as STOs will gain traction. We look forward to contribute with a number of projects we are currently working on. Andrea Bianconi´s analysis [i.e. this article] also shows that there is a clear need for investment advisory expertise as most retail investors will not be able to correctly assess the complex risk reward profile of these investments. Overall I have no doubt that STOs will gain traction as an alternative asset class over time"
Notwithstanding Bitbond´s milestone achievement, it remains to be seen how this digital bond will be subscribed. My feeling is that the BB1 token bond will be very likely successful among crypto investors who may want to switch and hedge risky crypto positions and convert BTC/ETH or other cryptos into this bond. Crypto whales, miners and those who have accumulated fortunes in 2017 can easily oversubscribe this Bitbond. Because this is really the first time that such a digital bond will be open to fiat investors it is difficult to predict how it will go. Objectively though - in a world of zero or negative rates, where even real estate yields less than 2% (in Germany at least), a 4% fixed yield plus a variable amount - is undoubtedly a valuable proposition for any investor. Finally, regarding the involvement of institutional investors, I feel that until a market for hedging fiat-crypto exchange-rate risks is not developed - with liquid enough options and futures contracts - and a stable-coin backed up by a major financial institution is created (see the JP Coin), it will be hard to see institutional money flowing in. But Rome was not built in a day and we are getting there much faster than it seems. Legal Disclaimer: This paper is for general guidance only and it does not constitute legal advice. As such, it should not be used as a substitute for consultation with lawyers on specific issues. All information in this paper is provided "as is", with no guarantee of completeness, accuracy, timeliness or warranty of any kind, express or implied.Disclosures: I do not have any interest in the company Bitbond or in the offer which is the subject of this article, I did not know any of Bitbond´s people before writing this article and I have not been paid or otherwise hired by Bitbond for any services and I have not been promised any economical rewards or benefits for writing this piece, which is a totally independent piece of information about their offer.Disclosures: I do not have any interest in the company Bitbond or in the offer which is the subject of this article, I did not know any of Bitbond´s people before writing this article and I have not been paid or otherwise hired by Bitbond for any services and I have not been promised any economical rewards or benefits for writing this piece, which is a totally independent piece of information about their offer. The beginning of the year has brought some important regulatory news for crypto from the US, the UK and the EU. In the crypto-friendly and dynamic US State of Wyoming, 2 new legislative bills have been filed in January. The first one aims at classifying digital assets as "intangible personal property" within the applicable Uniform Commercial Code as well as introducing an opt-in framework for banks to provide custodial services for digital asset property. The second one proposes to allow Wyoming corporations to issue "certificate tokens" and substantially recognizes "certificate tokens" as equivalent to normal stock certificates. Of course these are not enacted legislations and we will see how the process evolves before those bills can become law. In Europe, the English FCA has issued a consultation paper on its proposed Guidance on crypto assets which I have recently commented here. After the Italian Senate proposed to recognize the legal enforceability of both Smart Contracts and DLTs time-stamping, Luxembourg follows with the proposal to legalize the use of blockchains and DLTs for the holding and transfer of financial instruments. The Law proposal n. 7363 aims to introduce a new Article 18bis to specifically recognize the circulation of financial instruments via DLTs. This is the same procedure which was adopted in 2013 when the very same Law of 2001 was amended to take into account the circulation of dematerialized shares which were then given lawful recognition. Luxembourg´s initiative seems to go a step ahead of the above mentioned recognition of the effects of DLTs time stamping by the Italian Senate. However, both legislative moves do not seem to deal comprehensively with the issue: on the one side, Luxembourg recognizes the transfer of financial instruments using DLTs but does not expressly gives legal validity to the data embedded in DLT´s (time-stamping). Italy, on the other side, recognizes the legal validity of DLTs time stamping but does not expressly acknowledges the circulation of financial instruments via DLTs. Both seem to fall short of the objective. This is more material to analyze legal comparative aspects at ThinkBlockTank. On the tokenization of assets, the German Bafin has approved the first Prospectus for the issuance of a security token by German based Bitbond GmbH. The token represents a debt instrument paying an annual interest of 4%, plus a variable interest amount equivalent to 60% of the profits realized by Bitbond GmbH in its business activities. Two important points are worth noting: a) the token holder is paid back principal and interest in Stellar Lumens (XLM) thereby always bears the exchange-rate risk with Euro or other accepted Crypto such as BTC or ETH; b) Bitbond Finance will buy back the token at the original price of €1 at maturity after 10 years. In the meantime, with the German colleagues at ThinkBlockTank, we have looked into this Prospectus and here is my opinion on this interesting topic. On the EU regulatory side, the ESMA and the EBA have released 2 long awaited reports on ICOs and crypto-assets. - is accepted by persons other than the issuer. In all such cases, authorisation as an electronic money institution is required to carry out activities involving e-money, unless a limited network exemption applies in accordance with Article 9 of that Directive. (ii) PSD2 will then apply only to crypto-assets that qualify as e-money as clarified above under (i). (iii) Regarding the secondary market services - i.e. crypto-asset trading platforms and custodian wallet providers - the EBA voices again its concern about money laundering risks and risks to the consumers. (iv) Finally, the EBA shares ESMA´s conclusions about the EU Commission´s need to create a regulatory level playing field across the EU. The ESMA report is based on a survey carried out by 28 European NCAs (National Competent Authorities) on 6 different ICOs completed in 2017-2018, which tokens have differing characteristics that ranged from investment-type, utility-type, to hybrids and payment-type. Pure payment-type tokens were not included in the sample set on purpose, as they are unlikely to qualify as financial instrument. (i) The crypto-assets sector remains modest in size and ESMA does not believe that it currently raises financial stability issues. However, ESMA is concerned about the risks it poses to investor protection and market integrity. (ii) The outcome of the survey highlighted a NCA majority view that some crypto-assets, e.g. those with profit rights attached, may qualify as transferable securities or other types of MiFID financial instruments. (iii) However, because of differences in the implementation of MiFID at national level, the definitions of what is considered a "financial instrument" differ among member states. This leads to confusion and jurisdiction arbitrage by the players. (iv) if the "financial instrument" test is positive then the whole set of EU financial rules will apply such as MiFID II, the new Prospectus Regulation, MAR etc. (v) if instead the "financial instrument" test is negative then such set of rules do not apply. In this case however ESMA advises that all operators shall be subject to AML regulations. (vi) ESMA is concerned that the strategy of certain member states to regulate individually crypto-assets does not provide for a level playing field across the EU and therefore proposes that the EU commission steps in to coordinate an EU-wide approach. Interestingly, if one bothers to look into the Annex of the NCA survey, the discrepancy in what constitutes for NCAs a financial instrument and then a security under different EU jurisdictions appears pretty clear. Take in fact the CRPT (Crypterium) token for instance: for 15 NCAs it is a security, for 10 it is not and 3 do not even know the answer. No doubt that some consistency is needed at EU level. Will Italy be the first to enforce DLTs time-stamping and Smart Contracts? Italy never stops to amaze me. It is what we Italians call "genio e sregolatezza" - genius and insanity. 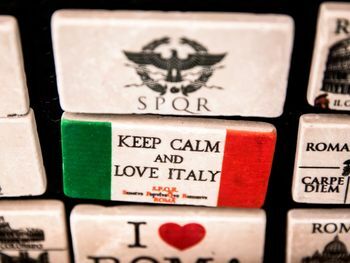 It is a country which has produced talents and excellence since the Roman times in many areas and still does. Italian artists, products, style and technology are known, appreciated, sought after and often imitated worldwide. It is a country full of talents which could still lead in the world in many ways, but it is chronically plagued by internal conflicts, self-interest and lack of leadership. This makes it very hard for Italian businesses to compete internationally and many young Italian talents are compelled to leave "il bel paese" to look for better opportunities abroad. We know this all too well. With Blockchain technology it was not different. For years, when the rest of the world was already salivating at the opportunities that blockchains could offer, this was hardly a hot topic in Italy. Then - mainly in the last 18 months - it seems that Italy has suddenly woken up to the opportunities that DLTs can bring in the future. Surprisingly, also the politicians have been fast in taking some steps in the direction of technology adoption. Last September the Ministry of Economic Development selected a group of 30 Italian experts who have volunteered (strictly unpaid) to contribute shaping the future blockchain policies of the new government. Then - this January - came the Italian stroke of genius. The Senate has proposed to introduce an important modification to an existing Legislative Decree which was aimed at cutting down administrative red-tape. The proposal is to recognize the legal enforceability of both Smart Contracts and DLTs time-stamping. This legislative amendment may well make Italy the first country in the EU and - as far as I am aware worldwide - to practically equate a Smart Contract to a written contract, thereby recognizing Smart Contracts digital format as being equal to the written format (Art. 8bis § 2). Under §3 then, DLTs time-stamping will be recognized under Art. 41 of EU Regulation 910/2014 (Legal effects of electronic time-stamps). It is not clear whether the effects of that are to simply qualify DLT time-stamping as legally enforceable in legal proceedings or to extend them the features of "qualified time stamps" under Art 42 of the same EU Regulation. Meaning that DLTs would have the capability of binding together time, date and data because they are "signed using an advanced electronic signature or sealed with an advanced electronic seal of the qualified trust service provider, or by some equivalent method". I would personally advocate the latter interpretation - because of the tech features of DLTs - which would practically mean that the whole block of data, time and date will be bound together in a legally enforceable certification (and not only the date). But we have to wait and see which position the Commission will take on that. If the legislative amendment is passed, the AGID (Italian Digital Agency) will have to set the technical specifications for the application of the law. It remains to be seen if "the stroke of genius" becomes a law in the short time. This is however a remarkable step in the right direction. In the UK, the FCA has recently issued a consultation paper on its proposed Guidance on crypto-assets which is open to stakeholders to provide their feedback by April 2019. The objective of the Guidance is to determine the regulatory perimeter within which existing UK laws or implemented EU Directives (such as the MiFID, MAR or Prospectus Directive) will apply to crypto-assets based on the standard categorization of exchange, security and utility tokens. The Guidance indicates when crypto-assets may be considered "specified investments" under local UK law or "financial instruments" under MiFID II or e-money under Payment Services and Electronic Money Regulations. 1. Exchange Tokens: exchange tokens (i.e crypto-currencies such as Bitcoin) remain outside the perimeter of the regulation. 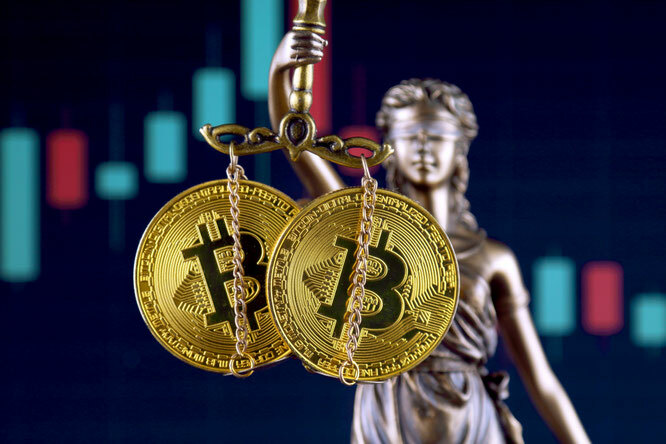 This means that the transferring, buying and selling of these tokens, including the commercial operation of crypto-asset exchanges for exchange tokens, are activities not currently regulated by the FCA. 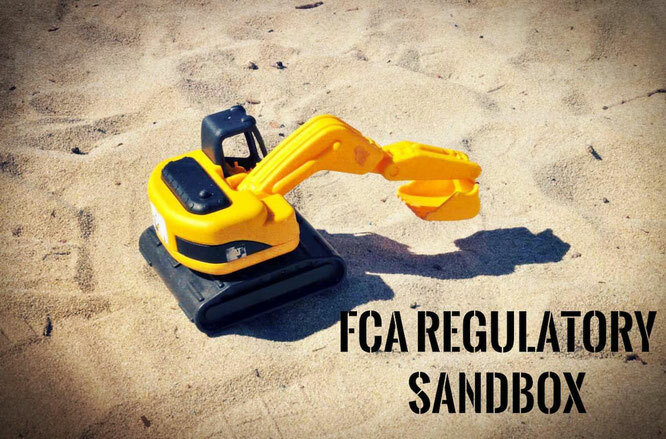 But by the end of 2019 the 5th AML EU Directive will be implemented also in the UK and therefore AML obligations will apply to such activities. 2. Security Tokens: the definition of "security tokens" is to include tokens that meet the definition of a "Specified Investment" under UK law, and possibly also a "Financial Instrument" under MiFID II. For example, these tokens have characteristics which mean they are the same as or akin to traditional instruments like shares, debentures or units in a collective investment scheme. (a) tokens are equivalent to shares if negotiable on capital markets, but listing on a market is not necessary. It is sufficient that they are transferable. This is the standard MiFID definition. However even if a token is not strictly speaking a financial instrument under MiFID - because it may have restrictions to its transferability - it still may be considered like a "Specified Investment" under UK Law. (b) if voting rights are attached to a token, they must be directed towards the control of the company. For example, a token that provides its holder with the simple right to vote on future ICOs the firm will invest in, would likely not be considered a security as the voting rights don’t confer control-like decisions on the future of the company. (c) a token representing a Warrant - a right to subscribe in the future - will be considered a security when it grants the right to subscribe to tokens which, when issued, are themselves considered like securities. (d) a token conferring rights to tokenized securities is itself likely a security. (e) a token issued to collect capital from investors - which is then pooled, invested and then yields token holders either interests or a profit participation - is likely either considered as a debenture or a participation in an investment scheme and therefore a security. 3. Utility Tokens: more importantly, the FCA brings much needed clarity on the most controversial of tokens types, that of utility tokens. The FCA seems to take a residual approach to identify utility tokens. Basically - if the token is neither a security nor e-money - then it may well be a utility token and thereby will fall out of the perimeter. Much like exchange tokens, utility tokens can be traded on the secondary markets and be used also for speculative investment purposes. This fact alone does not necessarily mean these tokens are securities. 4. E-Money: Payment Services Regulations apply only to funds which are defined as "banknotes and coins, scriptural money and e-money", therefore not to crypto-assets. - accepted by persons other than the issuer. Moreover the PSRs cover each side of the remittance, but do not cover the use of crypto-assets as the vehicle for remittance. Say a remittance service receives fiat from payer to be sent to payee in another currency. Consequently it converts fiat into a crypto-asset for the purpose of facilitating the transfer internally and finally delivers the sum to payee in another fiat currency. No party had any exposure to crypto-assets here. This is also out of the perimeter. 5. Conclusions: The Guidelines are a long awaited step in the right direction by the FCA. Particularly when bringing more clarity on the issue of utility tokens or definitely putting exchange tokens outside the perimeter. On comparative legal issues though, the German expert colleague Nina Siedler - fellow Board Member and Chairman of the Think Block Tank - points towards the differences in token categories between the FCA and the German supervisory authority BaFin. While the trisection of token categories is the same, the three categories vary in detail. The FCA defines exchange tokens as tokens “not issued or backed by any central authority and […] intended and designed to be used as a means of exchange”. In contrast, the element of having a decentralised issuer seems of no relevance to BaFin, which classifies this category of tokens as “payment tokens” and defining these as "units of account" which are a "financial instrument" according to German national law (while FCA considers those tokens to be outside their perimeter and expressly stating that they are not units of account). Further deviations arise according to national law for the security token category. This highlights once again the need for an EU wide harmonised token categorisation to create a functional European single market for tokens. Please scroll down the "Articles" page to find the article by date of publication.